Guess what -- yours truly doesn't own a scale, never have and probably never will. I can typically tell when I've gained or lost weight by the way my pants fit. So why don't I own a scale? Because it lies, okay not really but probably because I would weigh myself everyday. You know what I'm talking about. I also avoid the gym scale like the plague. Well things are about to change and no I'm not buying a scale, but I did join the 90 day challenge at my gym. You're probably asking -- what does that mean? It's a little friendly competition to see who can lose the most body fat percentage in three months. There are 20 people participating. I know you're probably thinking I'm a fit person and don't have a lot to lose. Well I thought the same thing until.... 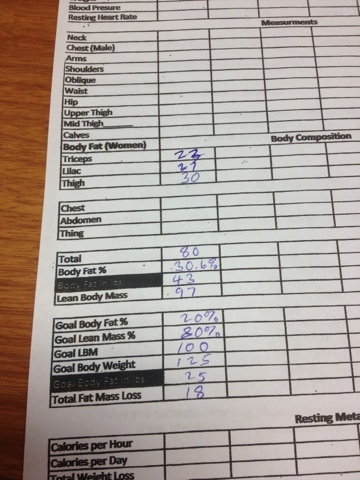 I had my body fat tested, weighed and photos taken. Looks can be deceiving. I'm saving the before picture for a comparison post. Now that you know the dirty truth -- I'm Skinny Fat -- what are my goals? and how will I reach them? Note: The above mentioned goals were set and discussed with a trainer I didn't pull them out of thin air. Of course the trainer asked me who I would want to look like at the end of 90 days and without hesitation I said Jennifer Aniston. Don't you just love her?! FYI: Although, there will be monthly updates over the next three months I'm not turning this into a weight loss blog. This is me keeping it real while making me accountable. Sweets are a major weakness for me and it's easy to over indulge. Good for you!! Having a plan is so helpful and definitely keeps me motivated! Good luck!! Thanks! So far so good ! Wow! Good for you! I just discovered your blog and am excited to be a new follower! :) Can't wait to read more! GOod for you! Good luck. 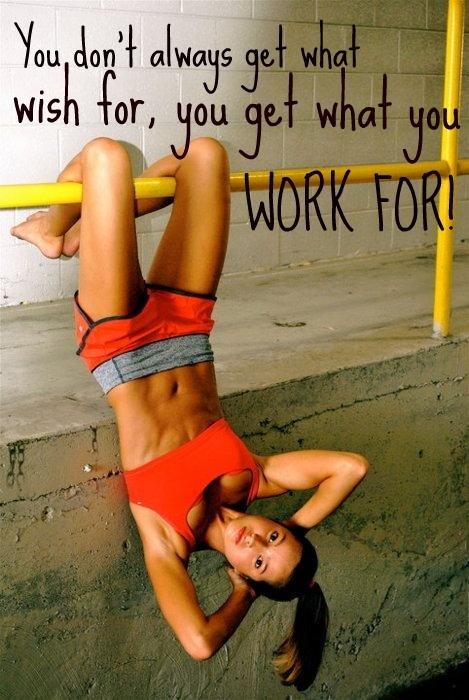 I am sure doing it at hte gym and with others will help with the accountability. Thanks. That's what I'm hoping for. Good for you! I need to get into gear. I am really slacking and I wanted to lose 30 by my 30th birthday. I have 6 months so I am behind. Funny story. There's a big hill called Runyon Canyon here where people hike. The first time I went I saw Jennifer Aniston! She's so little! You still have plenty of time! I never hiked the canyon, but I ran the Santa Monica stairs when I lived there. That's crazy you saw Jennifer Aniston at Runyon Canyon -- what are the chances! Props for sharing your stats on the blog! That takes real guts. I'm currently doing a half-hearted Weight Watchers program and am about to start Jillian Michaels' Body Revolution. Sadly, I feel like no sweets and no booze would be the PITS! They are my two favorites. Good luck, and can't wait to keep up with the results! Stopping by from Monday Gossip and happy to be a new follower! Thanks Rachel, I wasn't sure about posting but glad I did. I wanted to share how even smaller girls have weight/body issues.I hope this inspires a few along the way too.